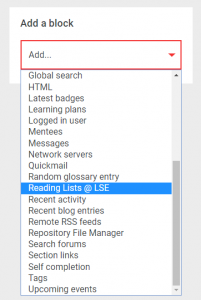 Once a reading list has been set up on Talis Aspire (as per the Reading Lists @LSE guide document) there are two main methods to link it to Moodle. 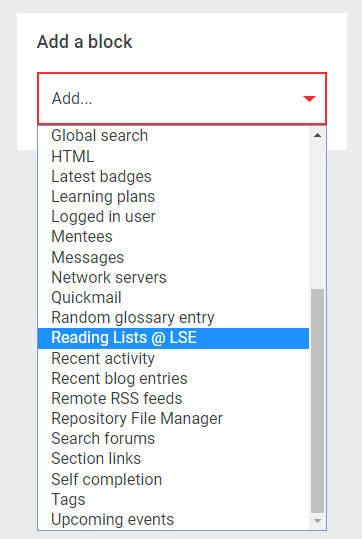 Select Reading List (Talis Aspire) tool from the Activities menu, and then click Add. Enter title text for the Activity name. 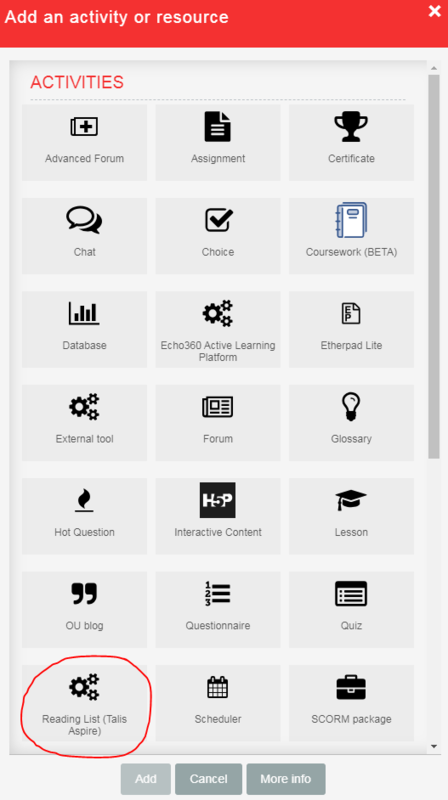 This is what will appear in Moodle. Then click Save and display near the bottom of the options. You will now be brought to the reading list for your course. Select the section you want to embed in Moodle from the drop down menu. When you are finished, click the Save button on the right. 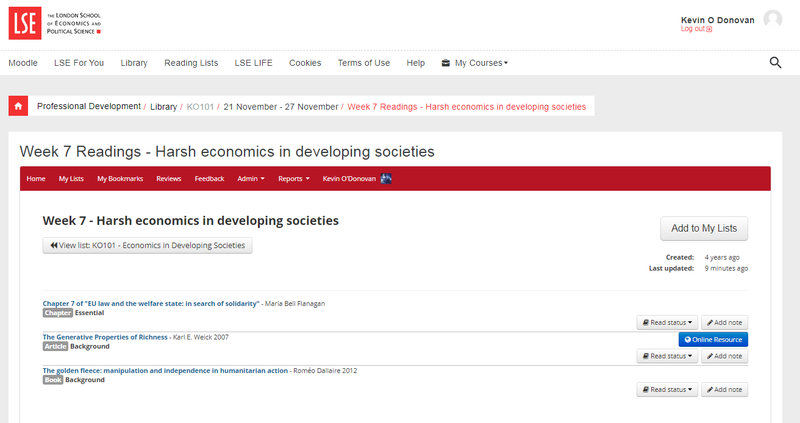 Your reading list section is now embedded in your Moodle course. 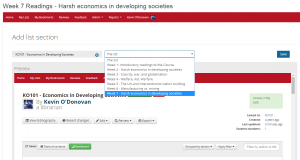 You can see the results by navigating back to your Moodle course and clicking Turn editing off. Open your Moodle course and Turn editing on. Go to Add a block on the bottom left of your course. 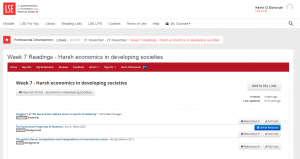 Click the drop-down on Add…, scroll down the list and select Reading Lists @ LSE. 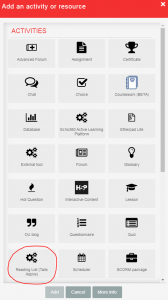 This will automatically detect the course code from Moodle and add a block as below to your course. To move it to a more prominent position in the same column, use the move icon or use settings to move it to the right hand column. 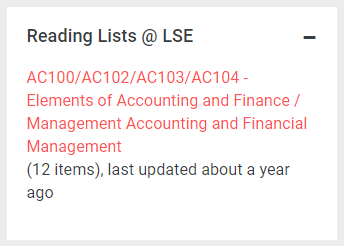 If there are two reading lists as below, they are likely to be for each term. You may well find that both methods above are useful in combination. For more information on how to set up and manage reading lists see the Library’s guide and the Support for teaching staff page.